Written by Jonathon’s dad, shared on Autism Radio. In September – the first time ever – he went shopping with me. I let him drive the cart. He retrieved items on the list and even scanned them – all by himself! A year ago, this would NOT have happened! The acceleration is very noticeable. 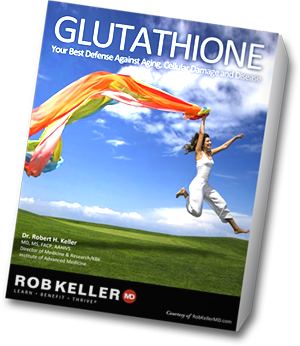 Order Rob Keller’s Original Glutathione Formula here. I wanted to share that my friend’s son with autism, Dante, has been doing sooooooo well on Rob Keller’s Original Glutathione Formula. Dante has been so much happier, attentive and calmer. Yay, yay, yay!! So at this point, Dante is way happier than when I last posted. His energy this morning was amazing. His eyes are open big and so bright and cheerful. He looks at me lovingly and pats my arm gently when we hug. He’s just so much more comfortable — Thank Goodness. Read their entire story at Boy Connected here. Read Tanner’s healing story here. I recently read Rhonda Spellman’s “The Journey: Home from Autism”, and I highly recommend it for all parents of autistic children. I took my darling son (now fully possessed by the personality of another child) to 18 doctors over the next two years. I honestly thought he needed to be seen by someone who specialized in disorders of this nature – whatever it was. Not one single doctor gave me hope. I returned to our pediatrician, Dr. Isaac R. Melamed, desperate and confused. He was the only doctor who listened to me. Because I believed that my son had possibly reacted to vaccinations, I asked him to perform a DNA analysis. Dr. Melamed asked me for a three-generational family history of “Blood, Brain, Mental and Emotional disorders.” The results of both changed our life. Dr. Melamed and I were both completely shocked by the results that clearly proved that my son had been mercury poisoned – with over 250 X the ‘safe’ amount of mercury in his system. When I learned that there was severe depression and mental illness in my husband’s family tree and a blood disorder in my family tree I also learned that these illness contributed ‘Weak Links’ into my son’s DNA – and made him more susceptible to react to the poisons in the vaccines. Her book chronicles her very thorough investigation and the results of the 7,000 hours of research that she undertakes to recover her son. I feel that any parent of an autistic child could benefit by reading her book as she shares what worked and didn’t work for her son. She shares numerous websites to make it easy for parents to implement treatments and techniques that she used. In her book she covers: vaccinations, GFCF diets, recipes, supplements, biomedical treatments, laboratory tests, PANDAS, difficulties with school, teachers and homework and much more. At one time, her son was taking 17 different supplements on a daily basis. For her son, the most significant contribution to his recovery was her discovery of Dr. Keller’s original glutathione accellerator formula. I put all of my son’s supplements (17 bottles) in a box and planned to give him Dr. Keller’s original glutathione accelerator formula over Christmas break. I gave my son his first single capsule on on December 17, 2008. He had been suffering from PANDAS since September, 2007. We were looking into special schools and receiving Special Olympics invitations because he was doing so poorly . Within one week we saw subtle improvements that included better eye contact. Within two weeks his overall focus was better and my husband remarked that his responses were unprecedented. At the end of three weeks I received a call from his school. His 100% modification was reduced to 50%! Within seven weeks ALL of his PANDAS (the incurable disease) symptoms were completely GONE! I increased his dosage slowly. Every two to three weeks I added one more capsule. We started with one every morning for two weeks. Next he had one in the morning and another at night. Next he took one three times a day for another two weeks. Soon he took two in the morning and then two at night. It appeared that my son was returning from a long, long drought… he was eating well and gaining weight. On September 16, 2009 (one day short of nine months) I went in for his first parent – teacher conference of 4th grade. I was told that my son No longer qualified for services. Dr. Keller’s glutathione accelerator was the ONLY thing we did. He was sleeping through the night again and acting like the boy I knew and loved. I wanted it to last and prayed often for him. In January, 2009 I began taking Dr. Keller’s glutathione accelerator myself – on a trial basis to see if it might help my chronic insomnia (that began in my teens) – since my son was sleeping so well. I began sleeping through the night in less than a week! The bonus is that my chronic pain (from multiple broken bones and a serious head injury that left me in a coma for eight days in 1982 – from a very serious car accident) decreased dramatically as well! Today, her son is fully recovered and no longer qualifies for special services at school. Tanner is now excelling in a Gifted and Talented program with his new home school. He took the tests and scored a WHOPPING 100% on the Language Arts and Math entry exams. Because he has shown an amazing ability for science he is also enrolled in the gifted and talented science classes. THIS all from the very same child that qualified for a voice activated computer in October 2008 because he couldn’t hold a pencil well enough to write! Tanner is also the author of several books that are in the process of being published (! ), in addition to his younger brother, Oliver Spellman (age 10), who wrote the book, “Asperger’s Rhymes with Bass Burgers“. In his book, Oliver writes what it’s like to have a brother with Asperger’s syndrome. I look at my 13-year-old son who once didn’t / wouldn’t / couldn’t talk and I see a boy with absolutely no inklings of a speak impediment whatsoever. He commonly uses words that even adults have to ask him to define. It’s truly mind-boggling to see where he is today. Rhonda is currently offering one-on-one coaching so that she can help other families. In addition, she is offering to send you two copies of her book, “The Journey: Home from Autism”, for the price of one, so that we can all help share their inspiring story. By the way, if you live in St. John’s, Newfoundland, you are welcome to borrow my copy. Dr. Keller’s Original Glutathione Formula is a 100% natural supplement that has been scientifically proven to increase glutathione levels. This supplement does not contain glutathione (which breaks down during the digestive process, but contains ingredients that stimulate the production of glutathione), including: vitamin C; N Acetyl cysteine, L-glutamine, N Acetyl D-glucosamine, quercetin, milk thistle extract, alpha lipoic acid, cordyceps and conjugated linoleir acid. More information about the benefits of each of these ingredients is described below. Virtually everyone who takes Dr. Keller’s Original Glutathione Formula consistently for three months feels a difference (i.e., higher energy levels and other health benefits). I felt a difference in my mental clarity within hours of first taking this supplement. Dr. Keller’s Original Glutathione Formula is 100% natural. No sugar, starch, yeast, soy, dairy, gluten or preservatives. Glutathione has been widely studied with over 99,000 published peer-reviewed scientific papers on this topic. In one review, almost 80% of people with chronic ailments were found to be deficient in glutathione. In fact, low levels of glutathione are involved in all disease states. The following symptoms, diseases and illnesses have been linked to low glutathione levels. (To find the scientific papers that have been published on each of these topics in relation to glutathione, visit http://www.pubmed.gov and type in “glutathione” and the symptom/disease/illness/syndrome of interest). This list is substantial simply because glutathione is present in every cell in the body. Given that glutathione is the body’s master antioxidant and detoxifier, increasing intracellular glutathione levels allow all of your cells in your body to detoxify and to work more efficiently and effectively. Watch a 3 min Dr. Oz video discussing the importance of increasing glutathione levels for all health concerns here. Read Ballatori et al.’s (2009) paper, Glutathione dysregulation and the etiology and progression of human diseases. read these scientific papers about acetaminophen toxicity and glutathione here. Glutathione can be used to reduce acetaminophen toxicity. read a scientific paper entitled, “Role of cysteine and glutathione in HIV infection and other diseases associated with muscle wasting and immunological dysfunction” here. Glutathione levels correspond to poor survival of AIDS patients. Much documentation demonstrates the role of enhanced glutathione levels in AIDS. Proceedings of the National Academy of Science, USA 94: 1967-72, 1997. It is well known that aging is accompanied by a precipitous fall in glutathione levels. Lower glutathione levels are implicated in many diseases associated with aging including cataracts, Alzheimer’s, Parkinson’s atherosclerosis and others. Journal of Clinical Epidemiology 47:1021-26, 1994. Glutathione, oxidative stress and aging “The involvement of glutathione in aging has been known since the early seventies. Recent experiments from our laboratory have underscored the importance of cellular compartmentation of glutathione. Mitochondrial glutathione plays a key role in the protection against free radical damage associated with aging. Watch a 7 min video of Dr. Keller presenting information about the importance of glutathione in the aging process at the American Academy of Anti-Aging Conference here. Lauterburg BH; Velez, ME, Glutathione deficiency in alcoholics: risk factor for paracetamol hepatotoxicity. Gut. 1988 Sep;29(9):1153-7. Moss, M; Guidot, D; Wong-Lambertina, M; Hoor, T; Perez, R; Brown, LA, The Effects of Chronic Alcohol Abuse on Pulmonary Glutathione Homeostasis. Am J Respir Crit Care Med. 2000;161:414-419. Tohgi et al. Increase in Oxidized Products and Reduction in Oxidized Glutathione in Cerborospinal Fluid From Patients with Sporadic Form of Amyotrophic Lateral Sclerosis.Neurosci Lett. 1999 Feb 5; 260(3):204-6. Glutathione, oxidative stress and neurodegeneration. There is significant evidence that the pathogenesis of several neurodegenerative diseases, including Parkinson’s disease, Alzheimer’s disease, Friedreich’s ataxia and amyotrophic lateral sclerosis, may involve the generation of reactive oxygen species and mitochondrial dysfunction. Here, we review the evidence for a disturbance of glutathione homeostasis that may either lead to or result from oxidative stress in neurodegenerative disorders. After being given a glutathione IV dose to remove heavy metals stored in the brain, a Lou Gehrig’s patient showed 90 percent improvement within ten minutes. His joint pain was gone and his cognitive symptoms improved markedl. Read article here. read these scientific papers about ALS and glutathione here. It is well documented in the scientific literature that individuals with Alzheimer’s disease have low glutathione levels. Woltjer et al. Role of Glutathione in Intracellular Amyloid-Alpha Recursor Protein/Carboxy- Terminal Fragment Aggregation and Associated Cytotoxicity. J Neurochem. 2005 May; 93 (4): 1047-56.
read these scientific papers about Alzheimer’s disease and glutathione here. The Alternative Doctor suggests increasing glutathione levels as an effective treatment for Alzheimer’s here. He also suggests supplementing with N-acetyl cysteine and alpha lipoic acid (both are ingredients in MaxGXL). Elevated levels of inflammatory markers were associated with a depletion of Glutathione in study subjects suffering from Lupus and Arthritis; scientific paper here. Raised glutathione levels help increase strength and endurance. Those interested in physical fitness can benefit from a definite athletic edge. Journal of Applied Physiology 87: 1381-1385, 1999. Click here for article about autism and glutathione published in the American Journal of Clinical Chiropractic. A large study by James et al confirmed her original finding of low glutathione in children with autism due to abnormalities in their methionine pathway. She also found that children with autism were more likely to have genetic polytypes associated with abnormalities in the methionine pathway. James et al. Metabolic endophenotype and related genotypes are associated with oxidative stress in children with autism. Am J Med Genet B Neuropsychiatr Genet. 2006 Dec 5;141(8):947-56. Scientific paper: “A clinical trial of glutathione supplementation in autism spectrum disorders” here (note that they did not test MaxGXL specifically, but this study shows that scientists feel that there is scientific merit to increasing glutathione levels in autistic children). read an article by American Healthcare Foundation about glutathione and autism here. an article discussing the importance of glutathione for detoxing heavy metals of autistic children here and here. Glutathione is the body’s chief detoxifier. It works with MT proteins to remove heavy metals and other harmful substances like pesticides and PCBs. Dr. S. Jill James has shown that 90% of children on the autism spectrum as well as their parents have impaired methylation. The active form of glutathione is reduced 80% in kids with autism. Sido B, Hack V, Hochlehnert A, Lipps H, Herfarth C, Dröge W, Impairment of intestinal glutathione synthesis in patients with inflammatory bowel disease. Gut 42: 485-492, 1998. Glutathione protects the body from inflammation of gastritis, stomach ulcers, pancreatitis and inflammatory bowel disease including ulcerative colitis and Crohn’s disease. read one person’s testimonial, a person who had a brain surgery for a mass on their brain here. She is now symptom-free, her personality has returned and she can remember things again. Jain, A; Martensson J; Stole E; Auld P; Meister A, Glutathione deficiency leads to mitochondrial damage in brain. Proc Natl Acad Sci. 1991 Mar;Vol 88:1913-1917.
read how Sona’s burn healed quickly here. Glutathione plays a role in eliminating many carcinogens/acids and also maintains and optimizes white blood cell function while providing stronger anti-acidic/antitumor defenses. Cancer Letters 57: 91-94, 1991.
read an article by the American Healthcare Foundation about glutathione and cervical cancer here. A critical role of glutathione in determining apoptosis sensitivity and resistance in leukemia cells. We conclude that dominant apoptosis resistance depends, at least in part, on intracellular GSH levels, which may affect apoptosis signaling at different compartments, for example, the death receptor or mitochondria. Glutathione reduces the toxicity and improves quality of life of women diagnosed with ovarian cancer treated with cisplatin: Results of a doubleblind, randomised trial. Early clinical trials have suggested that glutathione offers protection from the toxic effects of cisplatin. “Raised glutathione levels fight the oxidation of circulating fats in the bloodstream, including cholesterol, retarding the process of plaque formation in the arteries – the underlying cause for most heart disease and stroke”. Nutrition Reviews 54:1-30, 1996. Bounous et al. in 1999 proposed that glutathione depletion by an activated immune system also causes the muscular fatigue and muscle pain associated with chronic fatigue syndrome. Davies, B, Successful Treatment of Depression with IV Glutathione. Naturopathic Doctor News & Review. June 2008;Vol 4,Issue 6. Barańczyk-Kuźma A, Kuźma M, Gutowicz M, Kaźmierczak B, Sawicki J, Glutathione S-transferase pi as a target for tricyclic antidepressants in human brain. Acta Biochemica Polonica. Vol 51;No 1, 2004:207-212. The blood and tissues of diabetics are marked by critically low glutathione levels. De Mattia et al. Influence of Reduced Glutathione Infusion on Glucose Metabolism in Patients with Non-insulin Dependent Diabetes Mellitus. Metabolism. 1998 Aug;47(8):433-8. The Use of Nebulized Glutathione in the Treatment of Emphysema: a Case Report . We present the case of a 95-year-old man with an acute respiratory crisis secondary to emphysema and apparent bronchial infection. Treatment with nebulized glutathione led to a rapid resolution of the crisis, as well as a marked improvement in the chronic course of the disease. This treatment has been used since for a number of patients with emphysema. The safety and bioavailability of this method of delivery have been established in human studies. Preliminary results suggest efficacy for nebulized administration of glutathione in this patient population. We suggest this treatment can be considered an option for acute respiratory crises due to COPD. read the American Healthcare Foundation’s article about glutathione and glaucoma here. Gauthier TW, Ping XD, Harris FL, Wong M, Elbahesh H, Brown LA, Fetal alcohol exposure impairs alveolar macrophage function via decreased glutathione availability. Pediatr Res. 2005 Jan;57(1):76-81.
individuals with Gaucher’s disease have a deficiency in glutathione reductase (scientific study in German here). Glutathione reductase is an enzyme that reduces glutathione disulfide to the glutathione. a clinical trial is planned for intravenous N-acetyl cysteine for the treatment of Gaucher’s disease (Dr. Keller’s Original Glutathione Formula contains N-acetyl cysteine) here. They will be quantifying how glutathione levels change in response to the treatment. metabolic roles that include regeneration of vitamins C and E after they are oxidized while performing their antioxidant functions.” As a result, glutathione levels are low in individuals with GDPD deficiency. Raised glutathione levels fight the oxidation of fats circulating in the bloodstream including cholesterol, retarding the process of plaque formation in the arteries leading to most heart attacks and strokes. Nutrition Reviews 54: 1-30, 1996. ”Relationship Between Plasma Glutathione Levels and Cardiovascular Disease in a Defined Population: The Hisyama Study.” Stroke. 2004 Sep; 35(9):2072-7. Glutathione Peroxidase 1 Activity and Cardiovascular Events in Patients with Coronary Artery Disease. Increasing glutathione levels might lower the risk of cardiovascular events. an article discussing the importance of glutathione for detoxing heavy metals of autistic children here and here. Glutathione is the body’s chief detoxifier. It works with MT proteins to remove heavy metals and other harmful substances like pesticides and PCBs. Choo YS, Mao Z, Johnson GVW, and Lesort M. Increased glutathione levels in cortical and striatal mitochondria of the R6/2 Huntington’s disease mouse model. Neurosci Lett. 2005 Sep 23;386(1):63-8.
read the American Healthcare Foundation’s article about glutathione and high blood pressure here. Read this article about the link between excess free radicals and high blood pressure here. The research suggests that anti-oxidants may help prevent or treat high blood pressure. Glutathione is the body’s master anti-oxidant. “Low levels of glutathione may be a factor in the genesis of thyroid disease.” Read some abstracts of scientific papers linking low glutathione levels and thyroid disease here. The National Thyroid Institute lists increasing glutathione levels as one of their protocols for treatment of thyroid conditions. Glutathione is listed first in this list of nutritional relationships with hypothyroidism; “Hypothyroidism decreases efficacy of some antioxidants, such as glutathione peroxidase and superoxide dismutase”. Cai J; Chen Y; Seth S; Furukawa S; Compans RW; Jones DP, Inhibition of influenza infection by glutathione. Free Radic Biol Med. 2003 Apr 1; 34(7):928-36. Dicky was dying of a liver disease and within 4 months of starting MaxOne, his liver was completely detoxed. Read his testimonial here. The Treatment of Pulmonary Diseases and Respiratory-Related Conditions with Inhaled (Nebulized or Aerosolized) Glutathione. The potential applications of inhaled GSH are numerous when one considers just how many pulmonary diseases and respiratory-related conditions are affected by deficient antioxidant status or an over production of oxidants, poor oxygenation and/or impaired host defenses. Oxidative stress and regulation of glutathione in lung inflammation. This review describes the redox control and involvement of nuclear factor-kB and activator protein-1 in the regulation of cellular glutathione and c-glutamylcysteine synthetase under conditions of oxidative stress and inflammation, the role of glutathione in oxidant-mediated susceptibility/tolerance, c-glutamylcysteine synthetase genetic susceptibility and the potential therapeutic role of glutathione and its precursors in protecting against lung oxidant stress, inflammation and injury. Lung glutathione and oxidative stress: implications in cigarette smoke-induced airway disease. This review outlines 1) the regulation of cellular GSH levels and g-GCS expression under oxidative stress and 2) the evidence for lung oxidant stress and the potential role of GSH in the pathogenesis of COPD. The Use of Nebulized Glutathione in the Treatment of Emphysema: a Case Report . We present the case of a 95-year-old man with an acute respiratory crisis secondary to emphysema and apparent bronchial infection. Treatment with nebulized glutathione led to a rapid resolution of the crisis, as well as a marked improvement in the chronic course of the disease. We suggest this treatment can be considered an option for acute respiratory crises due to COPD. read scientific papers about COPD and obstructive pulmonary disease and glutathione here. “Lyme disease is a seriously complex multi-system acidic inflammatory condition that is triggered by bacterial exotoxins. Glutathione helps to remove exotoxic and/or mycotoxic acids by forming a soluble compound with them, which can then be excreted through the urine or gut.” Can Glutathione Help Lyme Disease Sufferers? Excerpt from: The Glutathione Report: Optimal Health with the Master Antioxidant. Issue 4, Volume 1, 2004 May. Dr. Klinghardt’s biological treatment of lyme disease based on 900 successful treated cases is here. (I highly respect Dr. Klinghardt. His protocol is very comprehensive, and one of the steps involves increasing glutathione levels). Glutathione deficiency in patients with mitochondrial disease: implications for pathogenesis and treatment here. Restoration of cellular glutathione could prove to be of therapeutic benefit in patients with a glutathione deficiency. “Levels of glutathione were significantly reduced in white blood cells from the 20 mitochondrial disease patients in the study.” Read a news release from Stanford Medical school here and another article here. Mann et al. Glutathione S-Transferase Polymorphisms in MS: Their Relationship to Disability. Neurology. 2000 Feb 8;54(3):542-7. Mitochondrial glutathione (scientific review paper) – see p. 2693 for info re: neurological disorders. Hammarqvist F, Luo JL, cotgreave IA, Andersson K, Wernerman J. Skeletal Muscle Glutathione is Depleted In Critically Ill Patients. Crit Care Med. 25(1):78-84 1997 Jan.
Inducible Alterations of Glutathione Levels in Adult Dopaminergic Midbrain Neurons Result in Nigrostriatal Degeneration. Parkinson’s disease is a neurodegenerative disorder characterized by the preferential loss of midbrain dopaminergic neurons in the substantia nigra (SN). One of the earliest detectable biochemical alterations that occurs in the Parkinsonian brain is a marked reduction in SN levels of total glutathione (glutathione plus glutathione disulfide), occurring before losses in mitochondrial complex I (CI) activity, striatal dopamine levels, or midbrain dopaminergic neurodegeneration associated with the disease. Dopamine turnover and glutathione oxidation: Implications for Parkinson disease. Parkinson disease is characterized by a major loss (z8O% or more) of dopaminergic nigrostriatal neurons and by an increased turnover of neurotransmitter by surviving neurons of the nigrostriatal tract. In theory, increased turnover of dopamine should be associated with an oxidative stress derived from increased production of hydrogen peroxide. Glutathione depletion in PC12 results in selective inhibition of mitochondrial complex I activity: implications for Parkinson’s disease. Oxidative stress appears to play an important role in degeneration of dopaminergic neurons of the substantia nigra (SN) associated with Parkinson’s disease (PD). The SN of early PD patients have dramatically decreased levels of the thiol tripeptide glutathione (GSH). GSH plays multiple roles in the nervous system both as an antioxidant and a redox modulator. Glutathione Depletion Switches Nitric Oxide Neurotrophic Effects to Cell Death in Midbrain Cultures Implications for Parkinson’s Disease . This study shows that alterations in GSH levels change the neurotrophic effects of NO in midbrain cultures into neurotoxic. Under these conditions, NO triggers a programmed cell death with markers of both apoptosis and necrosis characterized by an early step of free radicals production followed by a late requirement for signalling on the sGC/cGMP/PKG pathway. Parkinson’s Disease as Multifactorial Oxidative Neurodegeneration: Implications for Integrative Management. Parkinson’s disease (PD) is the most common movement pathology, severely afflicting dopaminergic neurons within the substantia nigra (SN) along with non-dopaminergic, extra-nigral projection bundles that control circuits for sensory, associative, premotor, and motor pathways. Reduced intravenous glutathionein the treatment of early Parkinson’s disease. Our data indicate that in untreated PD patients glutathione has symptomatic efficacy and possibly retards the progression of the disease. a clinical trial is planned for intravenous N-acetyl cysteine for the treatment of Parkinsons’ disease (Dr. Keller’s Original Glutathione Formula contains N-acetyl cysteine) here. They will be quantifying how glutathione levels change in response to the treatment. see Dr. David Perlmutter’s video about the success of glutathione therapy for Parkinson’s here. Read an interview with him here. Glutathione deficiency of the lower respiratory tract in patients with idiopathic pulmonary fibrosis. These data confirm the established role of oxidant/antioxidant imbalance in the pathogenesis of idiopathic pulmonary fibrosis, and show the potential of induced sputum to directly study inflammatory processes and surrogate markers in interstitial lung diseases like idiopathic pulmonary fibrosis. A role for glutathione in the pathophysiology of bipolar disorder and schizophrenia? Animal models and relevance to clinical practice. When glutathione (GSH) levels are reduced there is an increased potential for cellular oxidative stress, characterised by an increase and accruement of reactive oxygen species (ROS). Oxidative stress has been implicated in the pathology of schizophrenia and bipolar disorder. Read this abstract here. Kassim SK; Elbeigermy M; Nasr GF; Khalil R; Nassar M., The role of interleukin-12, and tissue antioxidants in chronic sinusitis. Clin Biochem. 2002 Jul; 35(5):369-75. Uslu C; Taysi S; Bakan N., Lipid peroxidation and antioxidant enzyme activities in experimental maxillary sinusitis. Ann Clin Lab Sci. 2003 Winter; 33(1):18-22. Westerveld GJ; Dekker I; Voss HP; Bast A; Scheeren RA, Antioxidant levels in the nasal mucosa of patients with chronic sinusitis and healthy controls. Arch Otolaryngol Head Neck Surg. 1997 Feb; 123(2):201-4. Nutritional Regulation of Glutathione in Stroke. Neurtox Res. 1999 Dec; 1(2): 99-112. Fraternale A, Paoletti MF, Casabianca A, et al, Antiviral and immunomodulatory properties of new pro-glutathione (GSH) molecules. Curr Med Chem. 2006;13(15):1749-55.